Stephen Mandel, one of Mokoro’s founding members, has many years’ experience as a development economist in Africa, Asia, the Pacific and Europe. He initially specialised in transport economics but has also gained wider experience of development planning and rural development issues. This includes substantial experience of national and sectoral planning, aid management, project planning, evaluation and appraisal, public investment reviews and institutional development and training. More recently, he has specialised on debt issues and international finance architecture, working with the New Economics Foundation, a major think tank, on Third World Debt and a number of issues related to substituting well-being for wealth as the goal of economic and public policy. 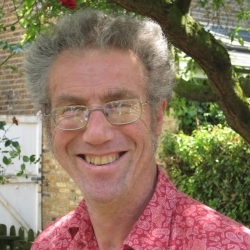 He has published a number of papers with the Green Economics Institute.